Rising material costs, extended supply chains and stricter regulatory controls and food safety standards have put ever increasing demands on the food and beverage industry. You may begin to wonder what the way forward could be for a food and beverage business looking to keep up with customer satisfaction and regulatory demands, as their business continues its march forward. The answer may be closer than you think. The rise in popularity of Cloud-based ERP systems, such as Business One and S/4HANA from SAP, allow food and beverage companies the flexibility of a cost per user, subscription model that can grow and expand as and when the business requires, giving the kind of flexibility that many businesses need in such a demanding sector. This new breed of ERP systems provide a single source of information for businesses in the food and beverage industry who need to maintain extensive information about the quality and traceability of their products across both single and multiple plants or operations, critical if you ever suffer the misfortune of a product recall or audit. With a Cloud based ERP system, you are able to access your system or data from any device, as long as you have an internet connection. This can help to improve your decision process by increasing the visibility of what your business is doing and helping you to understand where the gains and losses might be, where you might be able to optimise and how you can improve efficiency and collaborate better within your supply chain. Of course, let’s not forget about food safety and regulation. Using an ERP to improve your ability to deal with any potential threats and reduce risk is another important reason to make sure your systems are up to date. Integrating government and safety regulation into your process via your ERP system can help with everything from packaging to food ingredient and nutrition labelling as well as health & safety. Given that not only will your quality and process improvement help with food safety, it will also aid your customer facing folk too. Imagine walking into a client meeting and being able to access real-time knowledge and inventory information via a smart phone or tablet app. Imagine how impressed those customers will be when they can get historical information on your operations performance and definitive, data-based estimates on pricing and delivery. So is it for you? Many companies could be at risk of a failed audit or a product recall because they just can’t access the information they need from outdated or disparate systems. Recent legislation and tighter restrictions now mean that recalls are on the rise and that will only mean even greater restrictions in the future. 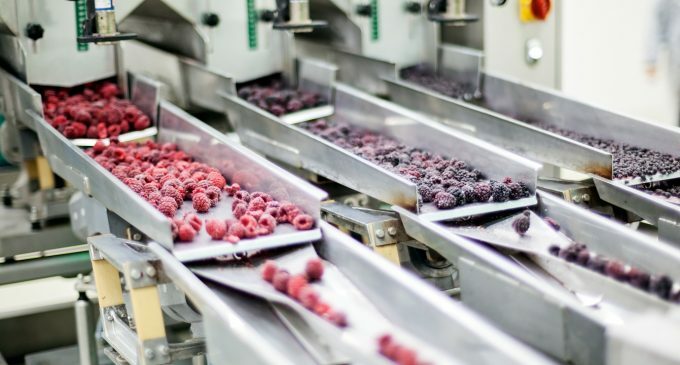 With that prospect in mind, companies involved in the food supply chain need to look for more agile software and Cloud options for their ERP software to help support best practice and repeatable processes. Whether its global growth or production diversification, SAP running in the Cloud could be exactly what your business needs to stay ahead in an ever more competitive industry. Aside from the flexibility and scalability, it can also allow you to see the future just a little bit clearer. SAP from Edenhouse will work with you to deliver an integrated business platform that can help to better improve your business and run Live!